“What is very strange is that the entire arrangement with the €100,000 loan … that it wasn’t disclosed, but particularly the fact that he [John Delaney] tried to seek an injunction [against the Sunday Times] to have it suppressed and to have the article suppressed. That raises an awful lot of questions. It’s very unusual. This is an organisation that has extensive banking facilities, so should be in a position to go to its bank for a short-term loan. It’s just very strange. The fact that it wasn’t disclosed, it wasn’t in the accounts, it wasn’t disclosed at the AGM … there was a whole area of secrecy around it, looking for a court injunction to prevent the article by The Sunday Times being published last week. The very interesting thing that we should all remember here is that the Football Association of Ireland is a publicly funded body so this is taxpayers’ money. It should be disclosed immediately through Sports Ireland, through the department – through Shane Ross’s department. Fran Rooney, former chief executive of the Football Association of Ireland on RTE Radio One’s Morning Ireland earlier. 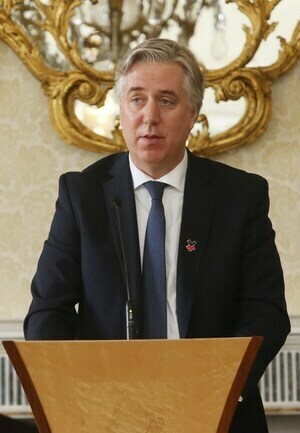 “FAI workers are asking for an explanation of why they had pay cuts at a time that the organisation began paying rent for chief executive John Delaney. …Today, SIPTU Sport Sector Organiser Denis Hynes said: “FAI employees were enduring reductions in salary of between 10% and 15%, which were implemented on what was meant to be a temporary basis in 2012. “This issue has particularly incensed our members because when the cuts in their pay were originally imposed, John Delaney stated that he was taking a similar reduction in his earnings. 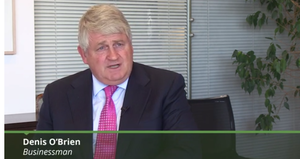 “However, it would now seem to be the case that, in 2016, the FAI decided to reimburse the reduction in its CEO’s salary through a payment in kind on a large property. Posted in Misc and tagged FAI, John Delaney at 12:11 pm on March 25, 2019 by Aaron McAllorum. I said John’s days were numbered and no one believed me! Who’s laughing now? Beside’s John Delaney? maybe someone with real expertise could comment but if I’m not mistaken that distinction means he wanted the issue utterly nuked so you’d never know that he’d been to the courts!! Yes, a super-injunction is an order stopping the reporting of the existence of an injunction. I don’t think we’ve had any in Ireland and lawyers say that the Constitutional requirement for the open operation of justice would stop judges granting such an order. It was also interesting that it was John Delaney and not the FAI which wanted the story buried, you could understand why the FAI wouldn’t want its precarious finances reported but why would John want to stop a loan being hidden? 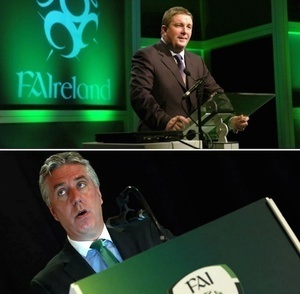 It’s been obvious for years that the FAI is ridden with corruption. Tax payers money should be pulled until a root and branch reorganisation takes place. I could be wrong, but I don’t think Fran Rooney is a paid up member of the John Delaney fan club. The UEFA Executive Committee membership is reported to earn another €100,000 a year. Its for 4 years from 2017, apparently renewable twice. Looking at the board of directors at the FAI, the lack of independence, governance experience, commercial nous (none appear to be involved in non-related businesses, except John Delaney who runs a loss-making furniture business) and their length of tenure, all point to it being time to wield the broom and get new faces installed. In my opinion, John Delaney should no longer hold any position of authority or influence in the FAI. His attempts to suppress the loan in court and the fact neither the loan nor the accommodation provided was shown in the financial reports suggests to me his time and service to the game has come to an end. Did anyone query the Accounts then? Or the fitness of the Board? Were any of them up for election/ re-election? The only reason I would seek a super injunction to stop it getting out that I had given a ‘loan’ to my employer is if I had been dipping into the till, got caught and wanted to put it quietly back. Who paid the legal costs of the super injunction? FAI or Delaney? It was only a week or so ago, I doubt they’ve been paid yet. If the decision had gone his way, my guess is the FAI would have absorbed the costs and no one would be any the wiser. The lack of corporate governance in Ireland is astonishing, these people behave in the way they do knowing that the chances of any there being any consequences to them are slim. It looks like the rental arrangement worked for Seoige anyway. Imagine calling your house Rocky Valley. Talk about tempting fate. Needs the chop & no mercy.